UPDATE: Relative at the Alamo - In "Daughters of the Texas Republic, Vol. 1", Rodney also discovered our 3G-uncle John Henry Dillard (he married our 3G-grandmother's sister Sarah McCulloch) died fighting at the Alamo. 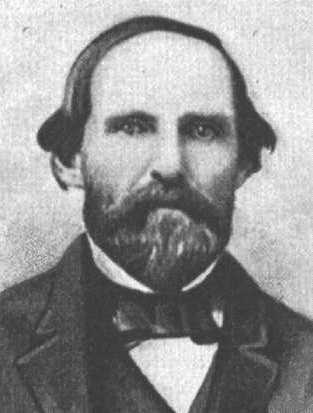 Living in Milam, he went to San Antonio to buy supplies and "became enthralled" with the revolution. He eventually volunteered to join Col. Davy Crockett and others. Cousin Rodney Mitchell of Graham shared this piece of history with me recently while he was researching Benjamin McCulloch (pictured), the Battle of San Jacinto participant, Texas Ranger, Indian fighter, Mexican/American War vet, Civil War brigadier general, noted Texas hero and brother of our great-great-great-grandmother Mary Ann McCulloch. 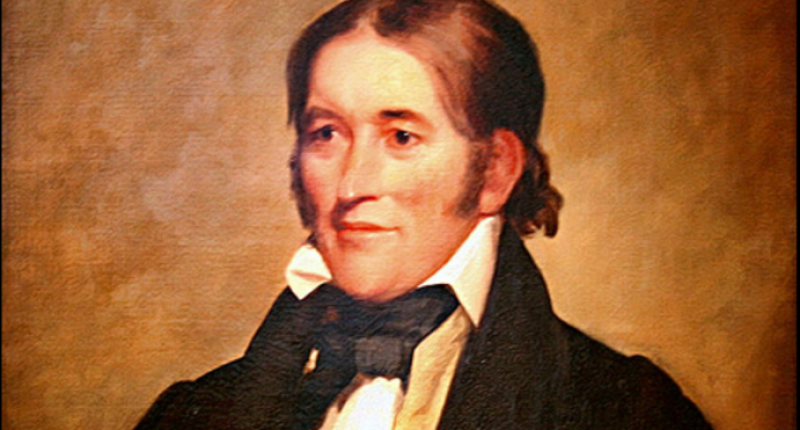 On the next page is a jpg of a letter written to William L. Mitchell in 1854 by Davy Crockett's widow Elizabeth. She appointed him power of attorney, and probably got his name from his uncle Benjamin, who had met Davy back in Tennessee. Benjamin accompanied the legendary b'ar killer to Texas, but was taken seriously ill in East Texas and didn't get to the Alamo. He did join Sam Houston's army in time for the Battle of San Jacinto, though. BTW, Benjamin McCulloch (1811-1862 and pictured at left) was killed on the second day of the Battle of Elkhorn Tavern (Pea Ridge) in Arkansas on March 7. He's buried at the state cemetery in Austin.